Ian Robertson: "We've been able to enter new segments and broaden our range dramatically." BMW’s growing lineup of compact cars is luring customers away from similar-sized volume models, especially in Europe. BMW sales boss Ian Robertson says most 1 series and 2 series buyers are new to the brand and “very few of them” came from its premium rivals. 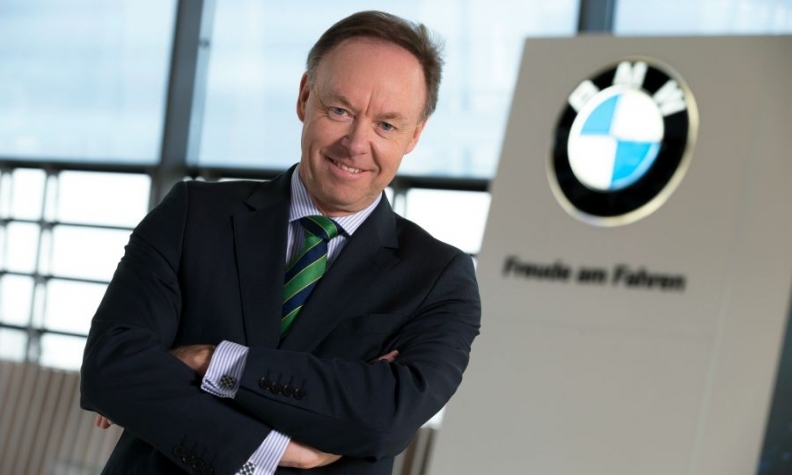 Robertson talked about the effect this has had on BMW in an interview with Automotive News Europe Editor Luca Ciferri. How will BMW maintain its premium-ness in Europe while also boosting volume when it already outsells brands such as Fiat and Citroen? Today’s technology allows us to produce cars using common architectures, which means we’ve been able to enter new segments and broaden our range dramatically. Over the last 10 years, we’ve gone from being a 3-, 5- and 7-series company to a 1-, 2-, 3-, 4-, 5-, 6-, and 7-series company, plus the X products and some specialties. A big part of this growth was in the small-car segment, which now accounts for around 40 percent of BMW Group’s global volume. With small cars -- the 1 and 2 series, X1 and the Mini family -- we really addressed a totally different customer and attracted new people to BMW and Mini who moved into the premium area from volume brands. This growth has been experienced in many parts of the world where the premium segment has been growing faster than the volume segment over the last 10 years – in some cases up to twice as fast. If you take Europe as an example, people’s aspirations are much higher these days which, combined with the recent recovery in economic performance, means the premium-car segment is much more resilient. On top of that, the European figures are significantly influenced by the region’s two largest markets – Germany and the UK – both of which have an above average penetration of premium cars. From which volume brands are you luring your new customers in Europe? Several European and non-European brands. When we launched the 1 series in 2004, about 80 percent of customers for that car were new to BMW and very few of them were coming from other premium brands. Similarly the new 2-series Active Tourer/Gran Tourer has had a 75 percent conquest rate. Most of those customers are coming from volume brands because those are the brands that were already in that segment. MAIN CHALLENGE: Making sure BMW brand's growing compact lineup doesn't pull customers away from Mini. Doesn’t the cross-shopping risk rise between BMW and Mini as you expand both brands’ small-car lineups? You will always get some cross shopping, but predominantly we wanted to attract new people, just like we did with the 1 series or Mini. Mini had been selling about 300,000 cars a year in recent years, a level never seen before, although these new Minis are in a totally different category from the classic Mini and they are sold at a totally different price point. Interestingly, only about 3 percent of Mini customers come from BMW. Excluding small cars, did European sales of BMW’s core large models expanded or shrink in the last decade? They substantially grew. We saw a slight decline in sales of traditional sedans but this was more than offset by a large increase in sales of the X-range, which we’ve been expanding over the last 15 years or so. What is the biggest change in the premium segments? Open cars have really declined. While convertibles have actually shown some recovery in the last two years, roadsters continue to slide. Roadsters suffer from competition from cabriolets and other very sporty offerings. In addition, roadsters are primarily sold in a few European countries and the U.S. There’s virtually no market for open cars in Asia. Volume automakers have been leaving low-volume niches because their product ranges grew too much. Does this concern BMW or do you plan to continue entering new niches? The checkerboard of segments and bodystyles is almost full, but there are still a few spaces we are going into. We have announced a larger SUV, the X7, and there are clearly one or two other spaces to fill. That said, in the years ahead we have to decide whether to replace models that compete in segments that are contracting. Alternatively, we could [remain in low-volume segments via] specific cooperations, such as the one we have with Toyota to develop a common architecture for midsize sports vehicles.